The MCOF Public Star Parties will be held on Friday December 19 and 26 at 7:30 pm, at the Morgan County Observatory. There will be stargazing, refreshments, movies and hands on astronomy exhibits to entertain folks of all ages. The Observatory will be open whether the sky is cloudy or clear. Check this website for last minute cancellations due to severe weather conditions. From Berkeley Springs: follow Rt 522 South 2 miles and take a left on Winchester Grade Rd (Rt 13), then travel 9 miles. The Greenwood Elementary School (8989 Winchester Grade Road) will be on the left. Go past the school and then park at the Observatory Parking lot next to the Observatory. Indoor Star Shows Archive pages. Morgan County Observatory - Public Star Party November 21th, and 28th, 2008 at 7:30 pm. 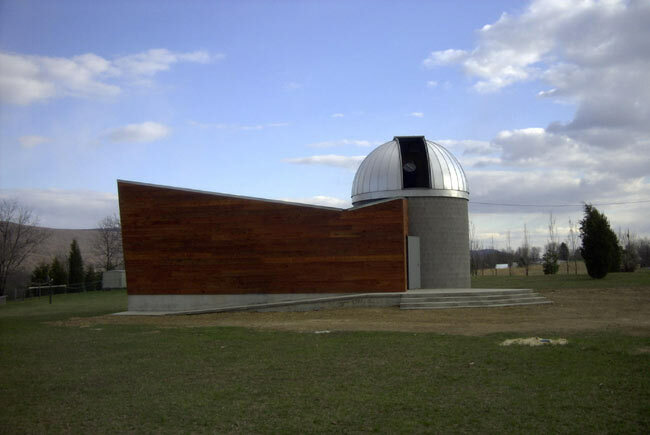 Novac - Northern Virginia Astronomy Club Public Observing Session Dec 6 at Crockett Park. National Air and Space Museum Events - Sky Meadows Public Observing Night - September 27, October 25 and November 22. Shenandoah Astronomical Society Wednesday, December 10, 2008 at 7:00pm. - Club Meeting at Lord Fairfax Community College, Middletown, Va.
TriState Astronomers Next meeting: ? in the WCBOE William Brish Planetarium. The MCOF Public Star Parties will be held on Friday November 21 and 28 at 7:30 pm, at the Morgan County Observatory. There will be stargazing, refreshments, movies and hands on astronomy exhibits to entertain folks of all ages. The MCOF Public Star Parties will be held on Saturday October 11, Friday September 24 and 31 at 7:30 pm, at the Morgan County Observatory. There will be stargazing, refreshments, movies and hands on astronomy exhibits to entertain folks of all ages. Morgan County Observatory - Public Star Party September 19th, and 26th, 2008 at 8:00 pm. Novac - Northern Virginia Astronomy Club Public Observing Session October 4 at Crockett Park and October 18 at Mason Neck Park. TriState Astronomers - October 10, 11 from dusk to 11:30pm (weather permitting) next to the Antietam National Battlefield Visitor center, Sharpsburg, MD. Shenandoah Astronomical Society Wednesday, October 8, 2008 at 7:00pm. - Club Meeting at Lord Fairfax Community College, Middletown, Va.
TriState Astronomers Next meeting: September 17, 2008. in the WCBOE William Brish Planetarium. The MCOF Public Star Parties will be held on Friday September 19 and 26th at 8:00 pm, at the Morgan County Observatory. There will be stargazing, refreshments, movies and hands on astronomy exhibits to entertain folks of all ages. The MCOF Public Star Parties will be held on Friday August 1, Saturday August 2, Friday August 22nd and Friday August 29, 2008 at 8:30 pm, at the Morgan County Observatory. There will be stargazing, refreshments, movies and hands on astronomy exhibits to entertain folks of all ages. Morgan County Observatory - Public Star Party August 1st, 2nd, 22nd and 29th, 2008 at 8:30 pm. Shenandoah Astronomical Society Wednesday, August 13, 2008 at 7:00pm. - Club Meeting at Lord Fairfax Community College, Middletown, Va.
TriState Astronomers Next meeting: None during summer. in the WCBOE William Brish Planetarium. The MCOF Public Star Party will be held on Saturday July 5 and Friday July 25, 2008 at 9:00 pm, at the Morgan County Observatory. There will be stargazing, refreshments, movies and hands on astronomy exhibits to entertain folks of all ages. Morgan County Observatory - Public Star Party July 5th and 25th, 2008 at 9:00 pm. Shenandoah Astronomical Society Wednesday, July 9, 2008 at 7:00pm. - Club Meeting at Lord Fairfax Community College, Middletown, Va. The MCOF Public Star Party will be held on Friday June 6 at 9:00 pm and June 27 at 9:00 pm, at the Morgan County Observatory. There will be stargazing, refreshments, movies and hands on astronomy exhibits to entertain folks of all ages. MCOF Public Star Party June 6 and 27, 2008 at 9:00 pm. Shenandoah Astronomical Society Wednesday, June 11, 2008 at 7:00pm. - Club Meeting at Lord Fairfax Community College, Middletown, Va. The MCOF Public Star Party will be held on Friday May 2 at 8:00 pm and May 30 at 8:30 pm, at the Morgan County Observatory. There will be stargazing, refreshments, movies and hands on astronomy exhibits to entertain folks of all ages. MCOF Public Star Party May 2, and 30, 2008 at 8:00 pm. Shenandoah Astronomical Society Wednesday, May 14, 2008 at 7:00pm. - Club Meeting at Lord Fairfax Community College, Middletown, Va.
TriState Astronomers Next meeting: Wednesday, May 21, 7:30 pm in the WCBOE William Brish Planetarium. The MCOF Public Star Party will be held on Friday April 4, 18, 19 and 25, at 8:00 pm at the Morgan County Observatory. There will be stargazing, refreshments, movies and hands on astronomy exhibits to entertain folks of all ages. MCOF Public Star Party April 4, and 25, 2008 at 8:00 pm. 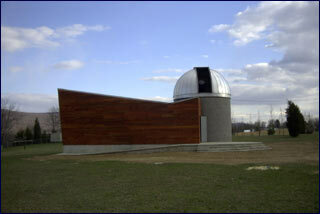 Astronomy Class will be taught for (4) Thursday nights from 6:30 to 8:30PM on March 6 to Mar 27 . Click here for info. The MCOF Public Star Party will be held on Friday March 7, and 28, at 7:30 pm at the Morgan County Observatory. There will be stargazing, refreshments, movies and hands on astronomy exhibits to entertain folks of all ages. MCOF Public Star Party March 7, and 28, 2008 at 7:30 pm. Shenandoah Astronomical Society Wednesday, March 12, 2008 at 7:00pm. - Club Meeting at Lord Fairfax Community College, Middletown, Va.
TriState Astronomers Next meeting: Wednesday, March 19, 7:30 pm at the WCBOE William Brish Planetarium. Public Star Party February 1, 8, and Feb 29, 2008. The MCOF Public Star Party will be held on Friday February 1 and 8, 2008 7:00 pm and Feb 29, 2008 7:30 pm at the Morgan County Observatory. There will be stargazing, refreshments, movies and hands on astronomy exhibits to entertain folks of all ages. Lunar Eclipse Map A .pdf file. MCOF Public Star Party February 1 and 8, 2008 at 7:00 pm and Feb 29, 2008 at 7:30 pm. Shenandoah Astronomical Society Wednesday, February 13, 2008 at 7:00pm. - Club Meeting at Lord Fairfax Community College, Middletown, Va. The MCOF Public Star Party will be held on Friday January 4, at 7:00 pm at the Morgan County Observatory. There will be stargazing, refreshments, movies and hands on astronomy exhibits to entertain folks of all ages. Shenandoah Astronomical Society Wednesday, January 9, 2008 at 7:00pm. - Club Meeting at Lord Fairfax Community College, Middletown, Va.